liberality until the 1950s, its exceptional restrictiveness after then, and its tortured and seemingly racist definition of citizenship. 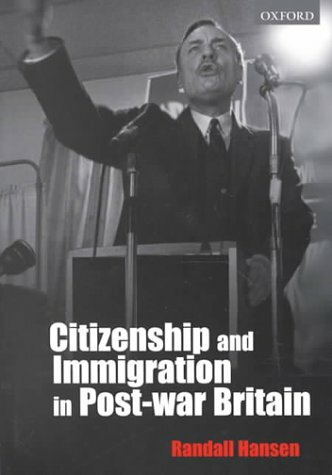 The combined effect of a 1948 imperial definition of citizenship (adopted independently of immigration) and a primary commitment to migration from the Old Dominions, locked British politicians into a series of policy choices resulting in a migration and nationality regime that was not racist in intention, but was racist in effect. In the context of a liberal elite and an illiberal public, Britain's current restrictive migration policies result not from the faling of its policy-makers but those of its institutions.